Lost In Translation | Hidden Brain Learning new languages can help us understand other cultures and countries. Do the languages we speak also shape our thoughts? This is HIDDEN BRAIN. I'm Shankar Vedantam. If you grew up speaking a language other than English, you probably reach for words in your native tongue without even thinking about it. UNIDENTIFIED WOMAN #1: (Speaking foreign language). UNIDENTIFIED WOMAN #2: (Speaking foreign language). UNIDENTIFIED WOMAN #3: (Speaking foreign language). UNIDENTIFIED MAN #1: (Speaking foreign language). VEDANTAM: There are phrases in every language that are deeply evocative and often untranslatable. If you're studying a new language, you might discover these phrases not in your textbooks but when you're hanging out with friends. JENNIFER GEACONE-CRUZ: My name is Jennifer Geacone-Cruz. VEDANTAM: Jennifer moved to Japan for graduate school. GEACONE-CRUZ: And I ended up living there for 10 years. VEDANTAM: It took just one week of living in Japan for Jennifer to pick up an important new term. VEDANTAM: There isn't a straightforward translation of this phrase in English. It takes Jennifer a moment to explain it. GEACONE-CRUZ: It's this phrase that describes something between I can't be bothered or I don't want to do it or I recognize the incredible effort that goes into something, even though it shouldn't be so much of an effort. VEDANTAM: Still don't have a clear picture? Imagine this. GEACONE-CRUZ: It's a Sunday afternoon, and it's raining outside. GEACONE-CRUZ: And you're at home in your pajamas, all nice and cuddly and maybe watching Netflix or something. And you suddenly get a craving for potato chips, and you realize that you have none in the kitchen, and there's nothing else you really want to eat. And maybe the convenience store or the shop is really not that far away. Maybe it's even less than 100 meters away, but you just can't bring yourself to even throw your coat on over your pajamas, and put your boots on, and go outside and walk those hundred meters because somehow it would break the coziness, and it's just too much of an effort, and you can't be bothered to do it, even though it's such a small thing. So it's mendokusai. VEDANTAM: The moment she heard it, Jennifer realized mendokusai was incredibly useful. GEACONE-CRUZ: It describes this feeling so perfectly in such a wonderfully packaged, encapsulated way, and you can just - it rolls off the tongue, and you can just throw it out. (Speaking Japanese). I just don't want to do it. VEDANTAM: If you're bilingual or you're learning a new language, you get what Jennifer experienced - the joy of discovering a phrase that helps you perfectly encapsulate a feeling or an experience. The phrase brings an entire world with it - its context, its flavor, its culture. Today, we explore the many facets of this idea. Languages are not just tools to describe the world. They are ways of seeing the world. LERA BORODITSKY: The categorization that language provides to you becomes real - becomes psychologically real. VEDANTAM: ...How the languages we speak shape the way we think. VEDANTAM: My guest today is - well, why don't I let her introduce herself? BORODITSKY: The way to say my name properly in Russian is (speaking foreign language), so I don't make people say that. VEDANTAM: Well, that's kind of you, Lera. VEDANTAM: In the English-speaking world, she goes by Lera Boroditsky. Lera is a cognitive science professor at the University of California, San Diego. Long before she began researching languages as a professor, foreign languages loomed large in her life. When she was 12, her family came to the United States from the Soviet Union. BORODITSKY: My family is Jewish, and we left as refugees. I decided it was very important for me to learn English because I had always been a very verbal kid, and I'd - was always the person who recited poems in front of the school and, you know, led assemblies and things like that. And to arrive in a new place where you can't tell a joke and can't express an idea - oh, it's just really painful because you feel like your whole self is hiding inside and no one can see it. And so I set myself the goal that I would learn English in a year, and I wouldn't speak Russian to anyone for that whole first year. And I did that. VEDANTAM: Lera now tries to understand languages spoken all over the world. She once visited an aboriginal community in northern Australia and found the language they spoke forced her mind to work in new ways. Just saying hello was difficult. BORODITSKY: I had this wonderful opportunity to work with my colleague Alice Gaby in this community called Pormpuraaw in - on Cape York. And what's cool about languages, like the languages spoken in Pormpuraaw, is that they don't use words like left and right, and instead, everything is placed in cardinal directions like north, south, east and west. So the way you say hi in Kuuk Thaayorre, one of the languages spoken here, is to say, which way are you heading? And the answer should be, north, northeast in the far distance; how about you? BORODITSKY: So quite literally, to get past hello, you have to know which way you're heading. And in fact, speakers of languages like this have been shown to orient extremely well - much better than we used to think humans could. We always knew that certain species of animals had abilities to orient that we thought were better than human, and we always had some biological excuse for why we couldn't do it. We'd say, oh, well, we don't have magnets in our beaks or in our scales or whatever. But it turns out humans can stay oriented really, really well, provided that their language and culture requires them to keep track of this information. VEDANTAM: I understand that if you're in a picnic with someone from this community and you notice an ant climbing up someone's left leg, it wouldn't make a lot of sense to tell that person, look, there's an ant on your left leg. BORODITSKY: Well, there may not be a word for left to refer to a left leg. In a lot of languages, there isn't. So you might say, there's an ant on your northwest leg. The fun example I give my students is imagine playing the hokey pokey in a language like this. You know, there's no left leg or right leg. As soon as you move the leg, it becomes a different leg. So you may start with moving your southwest leg in, but then you have to move your northwest - northeast leg out. ADAM COLE, BYLINE: (Singing) You put your southwest leg in, and you shake it all about. You do the hokey pokey and you turn yourself around. That's what it's all about. VEDANTAM: So I find that I'm often directionally and navigationally challenged when I'm driving around, and I often get my east-west mixed up with my left-right for reasons I have never been able to fathom. So - but if I understand correctly, I would be completely at sea if I visited this aboriginal community in Australia because I have often absolutely no idea where I am or where I'm going. BORODITSKY: Well, you would be at sea at first. But actually, it's something that's not so hard to learn. Many people have this intuition that, oh, I could never learn that; I could never survive in a community like this. But actually, that's exactly how people in those communities come to stay oriented - is that they learn it, (laughter) right? You have to do it in order to fit into the culture and to speak the language. I had this cool experience when I was there. You know, I was trying to stay oriented because people were treating me like I was pretty stupid for not being oriented, and that hurt. And so I was trying to keep track of which way is which. BORODITSKY: And so what was remarkable for me was that my brain figured out a really good solution to the problem after a week of trying, right? So I think it's something that is quite easy for humans to learn if you just have a reason to want to do it. VEDANTAM: Time is another concept that is also central to the way we see and describe the world. And you've conducted experiments that explore how different conceptions of time in different languages shape the way we think about the world and shape the way we think about stories. How so? BORODITSKY: One thing that we've noticed is this idea of time, of course, is very highly constructed by our minds and our brains. So you can't see time. You can't touch time. You can't smell or taste time. But it is a completely crucial part of the human experience. Of course, you also can't experience anything outside of time. It is the very fabric, the very core of your experience. So the question for us has been, how do we build these ideas? And it's not just about how we think about time. It's how we think about anything that's abstract, that's beyond our physical senses. And one thing that we've noticed is that around the world, people rely on space to organize time. So for example, for English speakers - people who read from left to right - time tends to flow from left to right. So earlier things are on the left. Later things are on the right. If I give you a bunch of pictures to lay out and say this is telling you some kind of story and you - and they're disorganized, when an English speaker organizes those pictures, they'll organize them from left to right. But if I give that same story to a Hebrew or an Arabic speaker, they would organize it from right to left. That is the direction of writing in Hebrew and Arabic, going from right to left. But time doesn't have to flow with respect to the body. So to go back to the example we were just talking about - people who don't use words like left and right - when I gave those picture stories to Kuuk Thaayorre speakers, who use north, south, east and west, they organized the cards from east to west. And so what that means is if someone was sitting facing south, they would lay out the story from left to right. But if they were sitting facing north, they would lay out the story from right to left. And if they were facing east, they would make the cards come toward them, toward the body. So that's an example of how languages and cultures construct how we use space to organize time, to organize this very abstract thing that's otherwise kind of hard to get our hands on and think about. VEDANTAM: If languages are shaped by the way people see the world, but they also shape how people see the world, what does this mean for people who are bilingual? If you can speak more than one language, does this mean that you're also simultaneously and constantly shifting in your mind between different worldviews? BORODITSKY: That's a wonderful question. So one possibility for bilinguals would be that they just have two different minds inside - right? - so one skull but two different minds, and you shift from one to the other. Another possibility is that it's a fully integrated mind, and it just incorporates ideas and distinctions from both languages or from many languages if you speak more than two. What turns out to be the case is that it's something in between - that bilinguals don't really turn off the languages they're not using when they're not using them. So even if I'm speaking English, the distinctions that I've learned in speaking Russian, for example, are still active in my mind to some extent, but they're more active if I'm actually speaking Russian. So bilinguals are kind of this in-between case where they can't quite turn off their other languages, but they become more prominent, more salient when you are actually speaking the language or surrounded by the language. VEDANTAM: So I want to talk about a debate that's raged in your field for many years. There are many scholars who would say, look, yes, you do see small differences between speakers of different languages, but these differences are not really significant; they're really small. How big are the differences that we're talking about, and how big do you think the implications are for the way we see the world? BORODITSKY: Yeah. So there are some differences that are as big as you can possibly measure. For example, when we started talking about navigation, that's an example where a 5-year-old in a culture that uses words like north, south, east and west can point southeast without hesitation. They know which way is which. And very competent adults of our culture can't do that, (laughter) right? So that's a measurement difference of 100 percent of performance. There's not a bigger difference you could find than 100 percent of the measurement space. You also see huge differences in other domains like number. So some languages don't have number words. And if you don't have a word for exactly seven, it actually becomes very, very hard to keep track of exactly seven. And that is an example of a simple feature of language - number words - acting as a transformative stepping stone to a whole domain of knowledge. Of course, if you can't keep track of exactly seven, you can't count. You're also not going to do algebra. You're not going to do trigonometry. You're not going to do any of the things that are seen as a foundation of our technological society. So that, again, is a huge difference. So in terms of the size of differences, there are certainly effects that are really, really big. But things can be important not just because they're big. They can be small differences but important in other ways. So for example, grammatical gender - because grammatical gender applies to all nouns in your language, that means that language is shaping the way you think about everything that can be named by a noun. Well, that's an incredibly large set of things, so that's a very broad effect of language. So individual differences are small, but the pervasiveness of the effect is extremely large. So to give you a very quick wrap-up is that some effects are big, but even when effects aren't big, they can be interesting or important for other reasons - either because they are very broad or because they apply to things that we think are really important in our culture. VEDANTAM: Languages orient us to the world. They shape our place in it. When we come back, we dig further into the way that gender works in different languages and the pervasive effects that words play in our lives. Stay with us. VEDANTAM: This is HIDDEN BRAIN. I'm Shankar Vedantam. Today, we're talking about language. In many languages, nouns are gendered. UNIDENTIFIED WOMAN #4: (Speaking foreign language). UNIDENTIFIED WOMAN #5: (Speaking foreign language). VEDANTAM: The word chair is feminine in Italian. UNIDENTIFIED WOMAN #6: (Speaking Italian). VEDANTAM: ...But masculine in German. UNIDENTIFIED MAN #3: (Speaking German). VEDANTAM: I asked Lera how describing the word chair or the word bridge as masculine or feminine changes the way that speakers of different languages think about those concepts. BORODITSKY: Actually, one of the first people to notice or suggest that this might be the case was a Russian linguist, Roman Jakobson. And he started by asking Russian-speaking students to personify days of the week. So act like Monday. UNIDENTIFIED WOMAN #7: (Speaking Russian). BORODITSKY: ...Or act like Wednesday. BORODITSKY: And Russian is a language that has grammatical gender, and different days of the week have different genders for some reason. And what he noticed was that when people were trying to act like Monday, they would act like a man. UNIDENTIFIED MAN #4: (Speaking Russian). BORODITSKY: ...Which accords with grammatical gender in Russian. And so he suggested it might be the case that the arbitrarily assigned grammatical genders are actually changing the way people think about these days of the week and maybe all kinds of other things that are named by nouns. And so we've done a lot of studies looking at how speakers of Spanish and German and Russian actually think about objects that have opposite grammatical genders. Take the word bridge. If it's feminine in your language, you're more likely to say that bridges are beautiful and elegant. And if the word bridge is masculine in your language, you're more likely to say that bridges are strong and long and towering - these kind of more stereotypically masculine words. And, of course, you always have to wonder, well, could it be that speakers of these different languages are actually seeing different kinds of bridges? So maybe they're saying bridges are beautiful and elegant, not because they're grammatically feminine in the language, but because the bridges they have are, in fact, more beautiful and elegant. And so to address that question, what we do is we bring English speakers into the lab, and we teach them grammatical genders in a new language that we invent. We call this language Gumbuzi. And we teach them, for example, to say that bridges and apples and all kinds of other things have the same prefix as women. So the word for the is different for women than for men, and it's also different for forks versus spoons and things like that. VEDANTAM: In other words, you're teaching people to associate these words with either masculine or feminine concepts. BORODITSKY: Exactly. Exactly as you would in a natural language with grammatical gender. And what we find is that if you teach people that forks go with men grammatically in a language, they start to think of forks as being more masculine. And if you teach them that forks go with women, they start to think that forks are more feminine. The categorization that language provides to you becomes real, becomes psychologically real. One study that I love is a study that asked monolingual speakers of Italian and German and also bilingual speakers of Italian and German to give reasons for why things are the grammatical genders that they are. And so for example, if the word chair is masculine in your language, why is that? And if you're a monolingual speaker of one of these languages, you're very likely to say that the word chair is masculine because chairs are, in fact, masculine. Right, so these speakers have internalized this idea from their language, and they believe that it's right. They believe that their language reflects the true structure of the world. But if you ask bilinguals, who have learned two languages, and now they know that some genders disagree across the two languages, they're much less likely to say that it's because chairs are intrinsically masculine. They're more likely to say, well, it's a formal property of the language. They're more likely to see through this little game that language has played on them. VEDANTAM: I understand that there's also been studies looking at how artists who speak different languages might paint differently depending on how their languages categorize, you know, concepts like a mountain or death. BORODITSKY: Yeah. So we did an analysis of images in Artstor. This is a database with millions of art images. And we looked at every personification and allegory in Artstor and asked, does the language that you speak matter for how you paint death, depending on whether the word death is masculine or feminine in your language? And to our surprise, 78 percent of the time, we could predict the gender of the personification based on the grammatical gender of the noun in the artist's native language. So if the word for death was masculine in your language, you were likely to paint death as a man. And if it was feminine, then you're likely to paint death as a woman. The size of this effect really quite surprised me because I would have thought at the outset that, you know, artists are these iconoclasts. They're supposed to be painting something very personal. But, in fact, they were reflecting this little quirk of grammar, this little quirk of their language and in some cases, you know, carving those quirks of grammar into stone when you look at statues that we have around liberty and justice and things like this, they have gender. You know, it's Lady Liberty and Lady Justice. Those are quirks of grammar literally in stone. VEDANTAM: Our conversation made me wonder about what this means on a larger scale. Does a speaker of a language, like Spanish, who has to assign gender to so many things, end up seeing the world as more gendered? Lira said there's still a lot of research to be done on this. But she told me a story about a conversation she had with a native speaker of Indonesian. BORODITSKY: I spoke really terrible Indonesian at the time, so I was trying to practice. And I was telling this person about someone I knew back in America. And they asked me all kinds of questions about them. And then question 21 was, is this person a man or a woman? And I thought, wow, first of all, it would be almost impossible to have a conversation like that in English where you hadn't already revealed the gender of the person because you have to use he or she. But also, I started wondering, is it possible that my friend here was imagining a person without a gender for this whole time that we've been talking about them, right? So when I ask you to, say, imagine a man walking down the street, well, in your imagery, you're going to have some details completed and some will be left out. So for example, you might not imagine the color shirt that he's wearing or the kinds of shoes that he's wearing. That kind of detail may not appear. So it's easy to think, oh, I could imagine someone without thinking explicitly about what they're wearing. But can you imagine someone without imagining their gender? And so for me, that question was born in that conversation of are there some languages where it's easier to imagine a person without their characteristics of gender filled in? So you can think about an un-gendered person in the same way that I might think about a person without a specific age or specific height or specific color shirt. I think it's a really fascinating question for future research. VEDANTAM: So this begs the question, if you were to put languages on something of a spectrum, where you have, you know, languages like Spanish or Hindi where nouns are gendered and languages like English where many nouns are not gendered but pronouns are gendered, and on the other end of the spectrum, you have languages like Finnish or Persian where you can have a conversation about someone without actually mentioning their gender, it would seem surprising if this did not translate, at some level, into the way people thought about gender in their daily activities, in terms of thinking about maybe even who can do what in the workplace. That - could this affect the way, you know, sexism, conscious or unconscious, operates in our world? BORODITSKY: It's certainly possible. I think language can certainly be a contributor into the complex system of our thinking about gender. There's been a little bit of research from economists actually looking at this. So they've compared gender equality, gender parity norms from the World Health Organization, which ranks countries on how equal access to education, how equal pay is, how equal representation in government is across the genders. And they have correlated this with gender features in the language, just like the ones you were talking about. And they suggest that differences across languages do, in fact, predict some of these measures of gender equality across countries. VEDANTAM: I understand there's been some work looking at children and that children who speak certain languages are actually quicker to identify gender and their own gender than children who are learning other languages in other cultures. BORODITSKY: Yeah, that's true. So there are these wonderful studies by Alexander Giora where he asked kids learning Finnish, English and Hebrew as their first languages basically, are you a boy or a girl? This takes kids a little while to figure out, and he had all kinds of clever ways to ask these questions. For example, he might take a bunch of pictures of boys and girls and sort them and say, OK, this is a boy. It goes in this pile. And a girl goes in this pile. And then he would take a Polaroid of the kid and say, well, this is you. Which pile do you go in, right? And what he found was kids who were learning Hebrew - this is a language that has a lot of gender loading in it - figured out whether they were a boy or a girl about a year sooner than kids learning Finnish, which doesn't have a lot of gender marking in the language. Of course, eventually, the Finnish kids also figured it out because language isn't the only source of that information, otherwise it would be quite surprising for the Finns to be able to continue to reproduce themselves. But somehow they've managed, not just by randomly bumping into each other. But it's a lovely example of how language can guide you to discover something about the world that might take you longer to discover if you didn't have that information in language. VEDANTAM: I'm wondering what implications your work has for the general field of what's sometimes called political correctness. We're often told, look, you know, the words don't matter very much. It doesn't matter if you use the word he to describe someone who could be both a man or a woman. In everyday conversation, people routinely use the term guys to refer to groups of people that involve both men and women. And sometimes they use the word guys to refer to groups that are comprised entirely of women. And as I'm listening to you, I'm hearing you essentially make the case to say that maybe language does matter, and maybe this is actually something of a case for political correctness. BORODITSKY: Language certainly matters. But I think you're right that we have - everyone has conflicting intuitions about whether language matters or not. So all of us have, at some point, made the argument, what does it matter what you call it? Or we've been asked to rename something. And we thought, oh, that's ridiculous because, you know, I know what it really is. I'm going to call it by its real name. But at the same time, everyone also intuitively believes that language really matters - what you call something really matters. And you know that because people argue about what to call things all the time. If we thought it didn't really matter, why would we argue about it? Why would we pay advertising companies so much money to name products? Why would we stress so much about what to call our children? You know, we seem to think that these words are really, really powerful. And so when it comes to questions of renaming things or finding new ways to frame social issues or to talk about them, of course, language can have an effect. That doesn't mean that language always has an effect. And it doesn't mean that language always has the effect that you think it will. So language acts in a really complex information environment. And renaming something can sometimes just be silly. VEDANTAM: Languages seem to have different ways of communicating agency. So in English, I might say that Sam (ph) broke the flute. But I understand that in Spanish, this would come out quite differently. BORODITSKY: Yeah. Lots of languages make a distinction between things that are accidents and things that are intentional actions. So for example, if Sam grabbed a hammer and struck the flute in anger, that would be one description, like, Sam broke the flute. But if he just bumped into the table, and it happened to fall off the table and break, and it was an accident, then you might be more likely to say, the flute broke, or the flute broke itself, or it so happened to Sam that the flute broke. You would give a different description to mark that it was not intentional. In English, actually, quite weirdly, we can even say things like, I broke my arm. Now, in a lot of languages, you can't say that because unless you were crazy, and you went out looking to break your arm, and you succeeded - right? - you would have to say something like, my arm got broken, or it so happened to me that my arm is broken. It's not something that you typically go out trying to do intentionally. And there are consequences for how people think about events, what they notice when they see accidents. So for example, English speakers, because they're very likely to say, he did it or someone did it, they are very good at remembering who did it, even if it's an accident. Whereas speakers of a language like Spanish might not be quite as good at remembering who did it when it's an accident, but they're better at remembering that it was an accident. So you have speakers of two different languages look at the same event and come away with different memories of what happened because of the structure of their languages and the way they would normally describe them. VEDANTAM: Around the world, we often hear that many languages are dying, and there are a few megalanguages that are growing and expanding in all kinds of ways. What do you think the implications are - if you buy the idea that languages are a very specific and unique way of seeing the world, of perceiving reality, what are the implications of so many languages disappearing during our time? BORODITSKY: Well, I think it's a terrible tragedy. Each language comprises the ideas that have been worked out in a culture over thousands of generations, and that is an incredible amount of cultural heritage and complexity of thought that disappears whenever a language dies. And MIT linguist Ken Hale, who's a renowned linguist, said that every time a language dies, it's the equivalent of a bomb being dropped on the Louvre. That's how much cultural heritage is lost. And some people would say it's a lot more because it's, you know, irrecoverable and not reduplicated elsewhere. And there are all kinds of interesting, useful, eye-opening ideas that exist in all of the world's languages. So I think it's an incredible tragedy that we're losing all of this linguistic diversity, all of this cultural diversity because it is human heritage. It's testament to credible ingenuity and complexity of the human mind that all of these different perspectives on the world have been invented. And it's sad that we're not going to be able to make use of them and learn them and celebrate them. VEDANTAM: Lera Boroditsky is a cognitive science professor at the University of California, San Diego. Lera, thank you so much for joining me on HIDDEN BRAIN today. BORODITSKY: Thank you so much for having me. VEDANTAM: This episode was produced by Rhaina Cohen and edited by Tara Boyle. Our team includes Maggie Penman, Renee Klahr, Parth Shah and Jenny Schmidt. Adam Cole wrote and performed our rendition of "The Hokey Pokey." For more HIDDEN BRAIN, you can follow us on Facebook, Twitter and Instagram and listen for my stories on Morning Edition. Our unsung heroes this week are the many people speaking different languages in this episode. We asked colleagues at NPR and friends from outside the building to record words and phrases in languages as varied as Tamil, Dutch and Farsi. Thanks to Christie Agawu (ph), Sophia Azin (ph), Noor Cuzzi (ph), Sara Katz (ph), Boris Katz (ph), Jonas Harnell (ph), Casey Herman, Nicole Hernandez, Mathilde Piard, Ayda Pourasad, Sookie Vensensoleil (ph), Remco Zwetsloot (ph) and Gabriela Saldivia. Thanks also to the many listeners who flooded our inbox with words and phrases that they wished existed in English. UNIDENTIFIED MAN #5: I want to share with you a very common phrase we use in Spanish. UNIDENTIFIED MAN #6: There's no natural English word for it. UNIDENTIFIED WOMAN #8: And it just encompasses such a huge range of emotions and feelings. UNIDENTIFIED WOMAN #9: The word is (foreign language spoken), and its meaning is probably closest to longing or nostalgia. UNIDENTIFIED WOMAN #10: The word that they use in Norwegian is koselig. The best translation to English or the closest you can get is cozy, but that really isn't even close to what it's describing. UNIDENTIFIED MAN #7: When I came back to the U.S., I wanted those words so much. 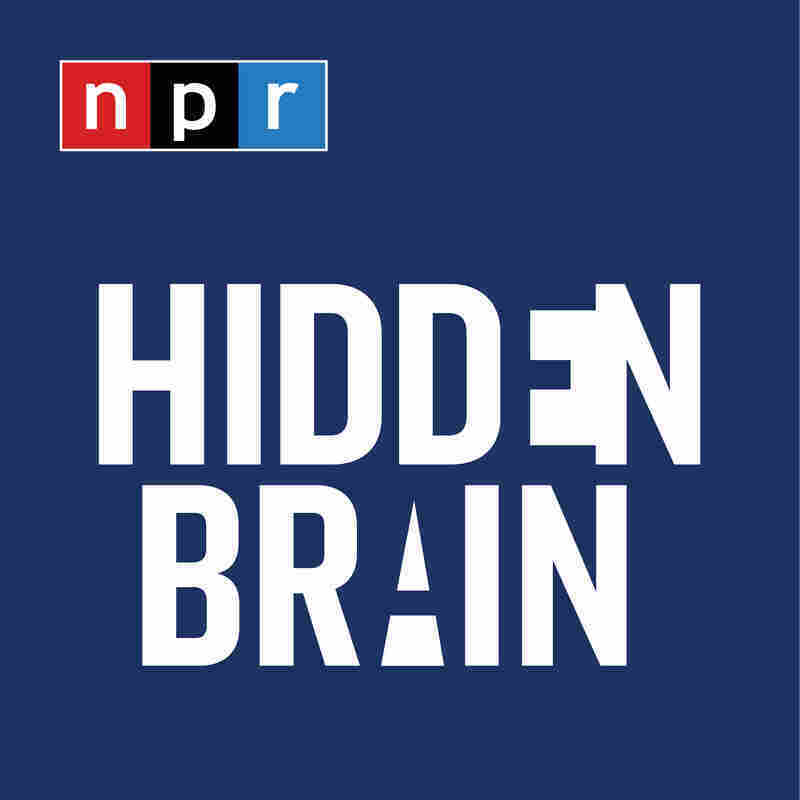 VEDANTAM: If you know a friend who might like our show, please tell them about HIDDEN BRAIN. We're a podcast, a radio show, and we're on smart speakers. Ask your Alexa to play you HIDDEN BRAIN. I'm Shankar Vedantam, and this is NPR.